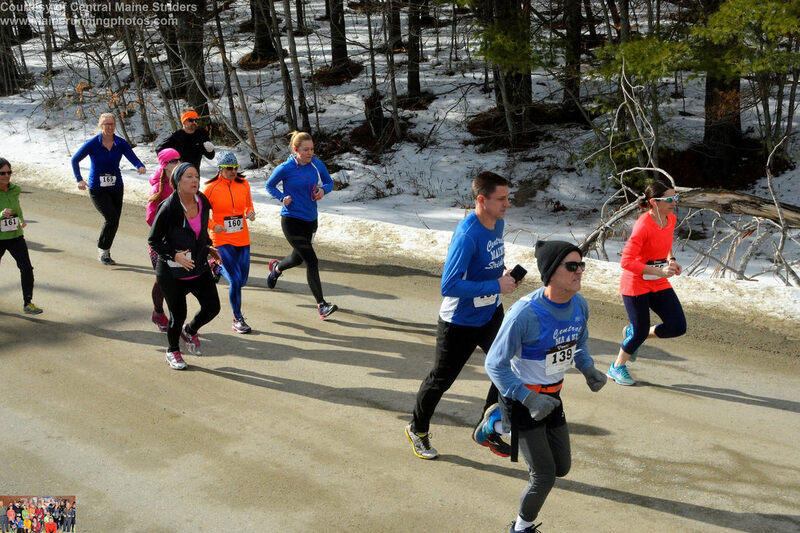 RESCHEDULED for Sunday, January 27, 2019 at 11 a.m.
Run, walk, waddle, or race and join Central Maine Striders for the 40th annual 4.5-mile January Thaw Road Race. This year’s race, originally scheduled for January 20, is now set for Sunday, January 27, at 11 a.m. at the Belgrade Central School (158 Depot Road, Belgrade). The top female and male runners will receive $50 gift certificates each from New Balance. There also will be a post-race raffle for all runners with gift certificates from local businesses. Refreshments will be served after the race in the Belgrade Central School cafeteria. Note: There is only day-of registration. I know that running a race is potentially hazardous activity, which could cause injury or death. I will not enter and participate unless I am medically able and properly trained, and by my signature, I certify that I am medically able to perform this event, and am in good health, and I am properly trained. I agree to abide by any decision of a race official relative to any aspect of my participation in this event, including the right of any official to deny or suspend my participation for any reason whatsoever. I attest that I have read the rules of the race and agree to abide by them. I assume all risks associated with running in this event, including but no limited to: falls, vehicular traffic, contact with other participants, the effects of the weather, including but not limited to cold and frostbite, traffic and the conditions of the road, and getting lost. Having read this waiver and knowing these facts and in consideration of your accepting my entry, I, for myself and anyone entitled to act on my behalf, waive and release the January Thaw Road Race, Central Maine Striders, Belgrade Central School, all event sponsors, their representatives and successors from all claims or liabilities of any kind arising out of my participation in this event, even though that liability may arise out of negligence or carelessness on the part of the persons named in this waiver. I grant permission to all of the foregoing to use my photographs, motion pictures, recordings, or any other record of this event for any legitimate purpose.